C is on the Real axis? 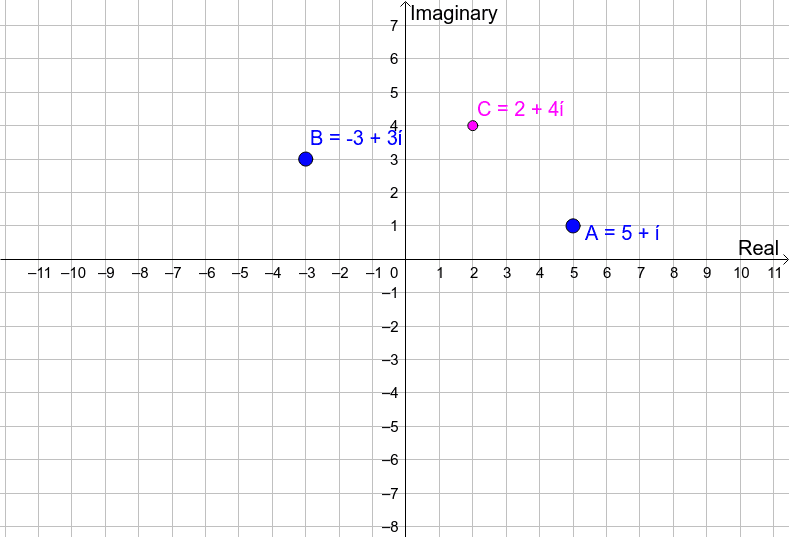 C is on the Imaginary axis? C is at the Origin? The dynamic figure below shows complex addition from another point of view!